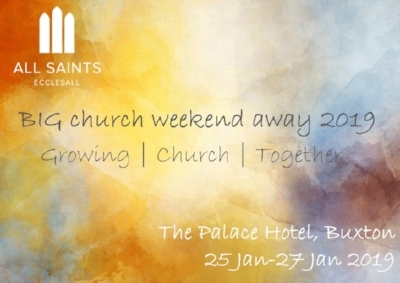 The Big Church Weekend Away is open to everybody. We do not want financial constraints to stop anyone from coming. So, whatever your budget, please do book on. If you have any questions, worries or concerns please do speak to a member of the clergy or one of the Wardens. So that we can support everyone to join in, we encourage those who can to make additional donations towards both their place, or for others to come. You can do this by clicking on the button below, follow the instructions and choose the option to make a ‘one off donation’. If you cannot come and would also like to make a donation, you can also do this by clicking on the button below.